Sew Inspired: charity quilts delivered! What a wonderful thing to do for the Hospital. You and the others did a wonderful thing in donating these quilts. In addition the sweet little model by the quilts is my favorite of the picture. Lauren is so beautiful. This is a very sweet picture of her. What an amazing gift you and your friends have created! After spending 2 nights in the hospital with a quickly mending 9 year old, I can't begin to imagine what it would be like to have an infant in the NICU...these beautiful quilts are a wonderful way to bring some joy to those folks - bravo! What an incredible project, I know the quilts will be well loved. 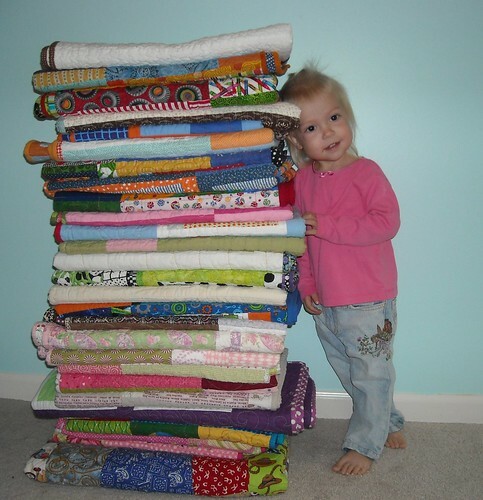 The picture with your daughter, a former NICU "client", standing beside the quilts is priceless! Wow. That is just amazing. You are all wonderful. Thanks for sharing this project. That's a whole lotta quilts going on... Big bravo to your group for getting the whole thing together!!!!! Really cute photo... it says a lot. 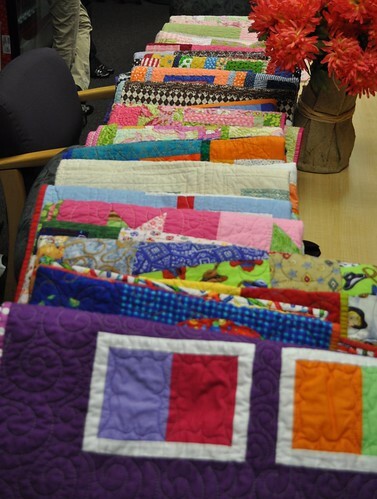 And what a generous group to complete all of these colorful quilts! What an amazingly generous thing to do! 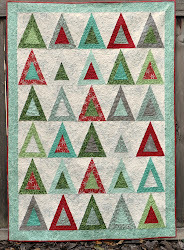 LOVE all those quilts and it just chokes me up to think of all those little babies in the NICU receiving one of these quilts. Well done! I may have to suggest a similar project to my MQG in Columbus! What an awesome project! I myself had a six week early premie, too. I know the moms will be thrilled to have these! What a blessing you are and a blessing you will receive!!! Thank you for coordinating the project. It was wonderful to be able to participate!